Who they should have picked instead? Martin St. Louis (RW), originally undrafted. Why? Yes, you read that right — the top pick in my fantasy do-over of the 1993 NHL Entry Draft was never actually drafted. 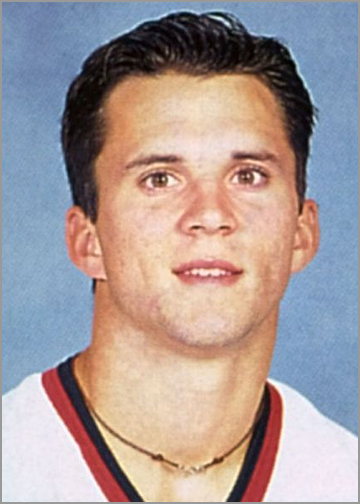 Of all players draft-eligible in 1993, Martin St. Louis had the most points (1,033) and assists (642), and scored the third-most goals (391). He led the league twice in scoring — once in his third full NHL season when he was 28, and nine years later at age 37. He won the Hart Trophy as NHL MVP once, the Lady Byng for sportsmanship three times, played in six NHL All-Star Games, and was an integral part of the Tampa Bay Lightning’s 2004 Stanley Cup Championship. It took a season of Junior A., followed by four award-winning seasons of NCAA Division 1 hockey, before an NHL team took a chance and signed him as a free agent. 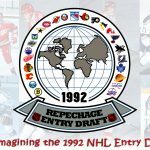 While St. Louis wasn’t on any NHL scout’s radar in 1993, there were still many other highly-touted prospects, such as Chris Pronger and Paul Kariya. But the Senators decided to select Alexandre Daigle with the first-overall pick. “I’m glad I got drafted first, because no one remembers number two,” said Daigle. But Senators’ fans wish they could forget about Daigle, whose mediocre career (337 points in 616 games) was not worthy of being a first-overall pick by any means. Paul Kariya (LW), originally selected 4th overall by Anaheim. Why? Chris Pronger was THE best defenseman at the draft that year, but Paul Kariya was THE best pure scorer. Kariya finished second in goals (402), assists (587) and points (989) among the 1993 draft class. Had he been a little less injured in his career, he easily would have been tops in all three marks. Regardless, Kariya’s 989 points in 989 games makes him a point-per-game player. Chris Pronger (D), originally selected 2nd overall by Hartford. Why? As stated above, Pronger is hands-down the best defenseman from the 1993 draft. He was a big, physical, intimidating defender who played 1167 games — tops among defensemen, and third among all 1993 draftees. He scored 693 points, which puts him at 10th overall and first among defenders from the ’93 draft. His career plus-minus rating of +183 is also the best among his 1993 peers. 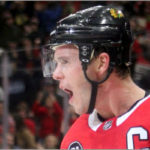 Proger won the Norris Trophy as best defenseman and Hart Trophy as league MVP in 2000, and was a big (no pun intended) reason why the Ducks won the Stanley Cup in 2007. Jason Arnott (C), originally selected 7th overall by Edmonton. Why? If NHL GMs knew back in 1993 what we know today, there is no way that Paul Kariya would have fallen to fourth overall. So the Ducks would have selected Jason Arnott, who scored the most goals (417) of all 1993 draftees (including Martin St. Louis in this mock re-draft). He also was third in points (938) and fifth in assists (521). Saku Koivu (C), originally selected 21st overall by Montreal. Why? Rob Niedermayer played 1,153 games in the NHL, but his 469 career points was 20th overall by 1993 draft-eligible players. Saku Koivu finished third in assists (577), 8th in goals (255) and fourth in points (832) among 1993 draft-eligible players. He was also one of his generation’s most-inspiring leaders. Koivu missed almost an entire year due to Burkitt’s lymphoma, but came back to play another 12 seasons. He was also the first European to captain the Montreal Canadiens; he did so for 10 seasons, tying him with Jean Beliveau as the longest-serving captain of the Habs. It is only a matter of time before Koivu is inducted into the Hockey Hall of Fame. Todd Bertuzzi (RW), originally selected 23rd overall by the New York Islanders. Why? Viktor Kozlov put up decent numbers — more on that later — and is worthy of being a late first-round pick. Todd Bertuzzi, on the other hand, was a late first-rounder who should have been picked much earlier. Bertuzzi was 5th in goals (314), 9th in assists (456), 5th in points (770) and 4th in games played (1,159) among 1993 draft-eligible players. Kimmo Timonen (D), originally selected 250th overall by Los Angeles. Why? In this fantasy re-draft, Arnott is already gone. So the Oilers would take defenseman Kimmo Timonen, who scored the second-most points (571) and was tied for third-most games played (1,108) among defensemen drafted in 1993. Bryan McCabe (D), originally selected 40th overall by the New York Islanders. Why? With the top five point scorers now gone, the Rangers would pick Bryan McCabe, who was the second-most durable defenseman, with 1,135 games played. McCabe was also third among ’93 d-men with 528 points. Pavol Demitra (LW), originally selected 227th overall by Ottawa. Why? Demitra is 6th in points (768) when compared to his 1993 draft-eligible colleagues, and averaged 0.906 points per game. That is good enough to move him up, oh, about 218 spots in this fantasy re-draft. Vinny Prospal (C), originally selected 71st overall by Philadelphia. Why? Jocelyn Thibault was the best goalie from the 1993 NHL Entry Draft, but looking back was not quite worthy of being a top-ten pick. 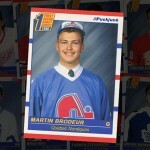 The Nordiques would have instead selected Vinny Prospal, who was 7th in points (765) among his 1993 peers. Actually, the Capitals would still have picked Brendan Witt 11th overall. Why? At this point, there are still a few players available who had statistically-better careers than Brendan Witt. But the reason why the Capitals should stick with Witt as the 11th-overall pick is because he actually worked out quite well for them. 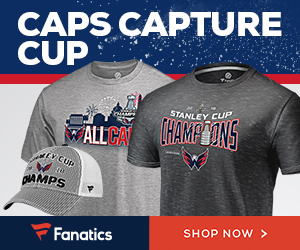 Witt spent his first 10 seasons in Washington, was a co-captain for a year, and ended up playing 626 out of 890 regular-season games with the Caps. He was a successful first-rounder for the team that drafted him. Hall Gill (D), originally selected 207th overall by Boston. Why? At 6’7″, Hal Gill was a big and slow, stay-at-home defenseman. But he was great at blocking shots, and spent over 1,000 games in the NHL. Gill was tied for third with Kimmo Timonen in games played (1,108) among defensemen drafted in 1993. He was also third with a plus-minus rating of +44. Miroslav Satan (LW), originally selected 111th overall by Edmonton. Why? Admit it — you, me and pretty much everyone in the whole world except Lou Lamoriello wanted to see a guy named Satan (though pronounced Shah-tahn) wearing a Devils’ jersey. 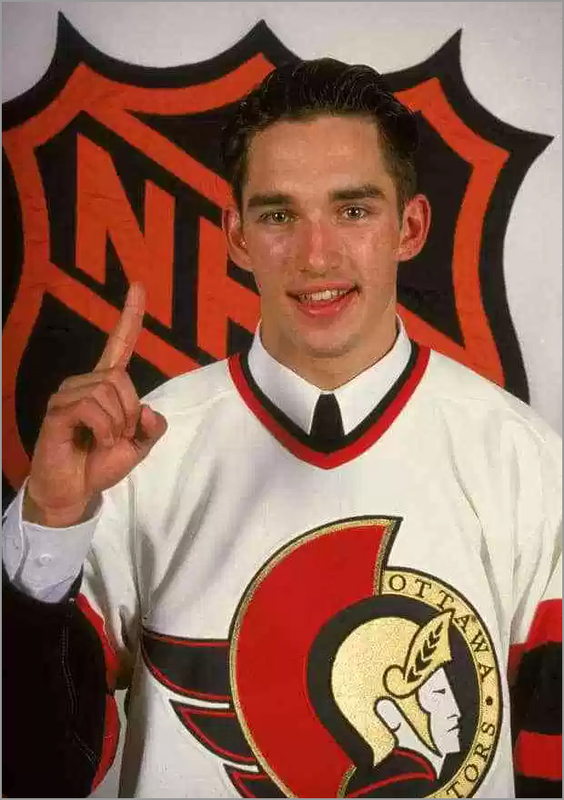 And maybe with the “unlucky” 13th-overall pick, Lou would relent and draft Miroslav Satan, who would have been a hell of a pick for the Devils, too. He was fourth overall in goals (363) and 8th overall in points (735) among draft-eligible players in 1993. And had he actually played for the Devils, Satan no doubt would have led the league in people wearing his jersey for ironic reasons., if such a stat existed. Puddy would no doubt approve. Andrew Brunette (LW), originally selected 174th overall by Washington. Why? Of 1993 draft-eligible players, Andrew Brunette was 7th overall in goals (268) and in assists (465), and 9th overall in scoring (733 points). Jamie Langenbrunner (RW), originally selected 35th overall by Dallas. Why? Jamie Langenbrunner is the last of the best-available scorers at this point. He finished 10th overall in goals (243) among his 1993 peers. He was also 11th overall in assists (420) and points (663) — 10th in those categories among forwards. Langenbrunner was also clutch in the playoffs. He was third in team scoring for the Dallas stars in 1999, helping the Stars win the Stanley Cup. In the 2003 playoffs, Langenbrunner led the Devils in playoff scoring and won the Stanley Cup again. He was the team captain of the Devils for four seasons and later captain of Team USA in the 2010 Olympics. Marek Malik (D), originally selected 72nd overall by Hartford. Why? Marek Malik was second — a distant second, but still second — to Chris Pronger in plus-minus for defensemen drafted in 1993 with a +133 rating. He was also 6th in games played (691) among ’93 d-men. Janne Niinimaa (D), originally selected 36th overall by Philadelphia. Why? Janne Niinimaa put up solid numbers in his career. He was 6th in games played (741), fourth in points (319) and tied for fourth in plus-minus (+43) among defensemen drafted in 1993. Also, his name sounds like a Pokémon. That’s got to be worth something. Brendan Morrison (C), originally selected 39th overall by New Jersey. Why? Brendan Morrison put up a respectable 200 goals and 401 assists in 934 games played over 14 seasons. His 601 points puts him at 12th overall for draft-eligible players from 1993. FYI, Jesper Mattsson is one of two players selected in the first round of the 1993 NHL Entry Draft who did not play in a single NHL game. Darcy Tucker (RW), originally selected 151st overall by Montreal. Why? 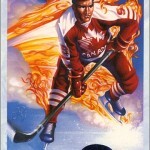 Darcy Tucker was a tough dude who, according to DropYourGloves.com, fought 101 times in his career. Tucker also managed to score 215 goals and 261 assists in his NHL career. He is 19th overall in points (476) and games played (947) amid his 1993 peers. And since Tucker spent over half of his career with the Leafs — and he fought more than half his fights wearing the blue and white — it probably makes sense for Toronto to draft him in the first round anyway. Kenny Jonsson (D), originally selected 12th overall by Toronto. Why? Kenny Jonsson is 8th in games played (686) and 5th in points (267) among defensemen drafted in 1993. That might not sound all that appealing until you consider that 91 defensemen were selected in the 1993 Draft — and only 43 of them played in at least one NHL game. Jonsson is still a first-rounder, but more appropriate as a late first-rounder than an early one as originally selected. Chris Gratton (C), originally selected by Tampa Bay 3rd overall. Why? Saku Koivu is gone in this fantasy draft, and that’s too bad for Montreal. But Koivu had as much business being a late first-round pick as Chris Gratton had being an early first-round pick. Still, Gratton did much better than most of his 1993 peers, coincidentally ranking 14th in both points (568) and in games played (1092). Viktor Kozlov (C), originally selected 5th overall by San Jose. Why? 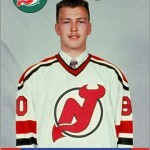 Viktor Kozlov is 15th overall in points (537) among his 1993 peers. Keep in mind that is better than 91 other 1993 draftees who played at least one NHL game. Todd Marchant (C), originally selected 164th overall by the New York Rangers. Why? With Bertuzzi moving up 17 spots, the Islanders would have to dig deep to find a player worth getting late in the first round. Todd Marchant is probably the best player at this point. He is 17th overall in points (476) in his draft class. Then again, Marchant was more of a defensive player, killing penalties and usually matched against the other teams’ top scoring lines. He is second overall for ’93 draftees with 1,195 games played. Krzysztof Oliwa (LW), originally selected 65th overall by New Jersey. Why? Nearly every team in the Central Division had a heavyweight enforcer during the 1993-94 season. Detroit had Bob Probert, Winnipeg had Tie Domi, Dallas had Shane Churla and St. Louis had Basil McRae. The Blackhawks lost Stu Grimson in the 1993 Expansion Draft, so drafting Krzysztof Oliwa with the 24th-overall pick would have made sense. He was a heavyweight who fought 210 times during his NHL career. Standing at 6’5″ and weighing 254 lbs., Oliwa was nicknamed “The Polish Hammer” — and that’s another reason why he’d be perfect in Chicago. The Windy City has a large population of Polish-speaking and Polish-American people, so he would have been an instant fan favorite. As for Eric Lecompte, he is the other 1993 first-rounder to never play in an NHL game. Jocelyn Thibault (G), originally selected 10th overall by Quebec. Why? Jocelyn Thibault was the best goalie in the 1993 draft. His 586 games and 238 wins are tops among his 1993 peers. Plus, he spent 5 1/2 seasons with the Blackhawks when they were at their absolute worst; had he played elsewhere, it wouldn’t be difficult to imagine Thibault as a 300-win goalie. Tommy Salo (G), originally selected 118th overall by the New York Islanders. Why? Tommy Salo was the second-best goalie from the 1993 draft class in both games played (526) and wins (210). He spent a few years with the Islanders during their “Fish Sticks” era, so had Salo been on a team like the Penguins, it isn’t hard to picture him winning 300 games in his career. Hell, if Mike Milbury didn’t make Salo cry during an arbitration hearing, he probably would have been the second coming of Patrick Roy. Regardless, Salo had seven assists during his career, which is more total points than 201 other draft picks from 1993. I completely forgot Martin St. Louis came into the league that year. As a 10 year old, my friends and I were hoarding Alexandre Daigle RCs. I still pick them up once in a while as a nostalgia buy. Martin St. Louis did not come into the league in 1993. He was draft-eligible, but passed over. He wasn’t signed by an NHL team until 1998. I think Adam Deadmarsh should of been ranked somewhere in your draft. In his 10 seasons he had 5 with 20+ goals, won a cup, and point wise was deadly in the playoffs. At least ahead of Oliwa! I remember that Daigle was the consensus number 1 pick in that year’s draft. 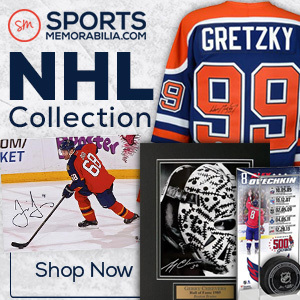 It was the reason why card collectors purchased the 92/93 QMJHL Seventh Inning Sketch. And I’m trying to recall what card company had him dress up in various outfits including a nurses uniform as part of a promotion. I believe that teams learned from how Daigle never came close to fulfilling his potential. Firstly how much is the draftee committed to the sport and putting in the time and effort required. Daigle wanted to ride it out from his junior talents but wasn’t willing to put in the effort to be a great player. I would think that it’s part of the pre-draft interviews to try and get a reading of the player’s commitment to hockey. Second to have their 18 and 19 year olds being taken care of away from the rink. It’s a big step for these young men to live by themselves in the big city. I remember reading an article about Daigle’s eating habits – junk food and fast food. Teams now encourage their younger players to live with an older player or to billet with a family. Crosby lived with Super Mario his first year in Pittsburgh. I think that there’s a greater understanding by teams to assist the younger players during their first year in the league. 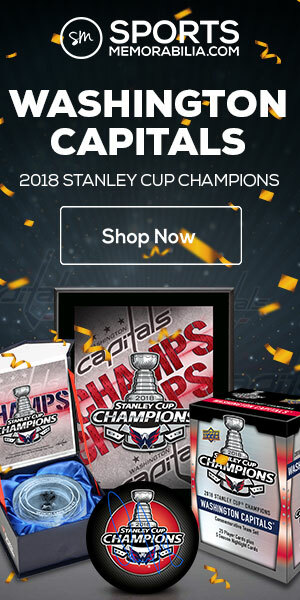 Jeff, the ad you are speaking of was for Score hockey cards. It had a caption like “The only place to see Alexandre Daigle in his Senators uniform is on a Score hockey card,” or something like that. Funny ad. That was a great re-draft Sal. Thoroughly enjoyable to read. Loved the Satan to the Devils line especially being a “hell of a pick”. Brought back many memories of players names long forgotten. Not just players but, also, franchises. Hartford Whalers? Quebec Nordiques? Only 26 teams existed? Shockingly, the Mighty Ducks or Florida Panthers didn’t make the Stanley Cup. So, in a nutshell, the 1993 NHL draft class pretty much stunk it up. Looking forward to the 2003 re-draft. Now that was one great draft class. You know, I am going to be the controversial one and say that Daigle was the right pick for the Sens in that draft. I say that for two reasons. First and foremost, this kid had talent. I grew up down the road from The Palladium (Canadian Tire Centre now) and went to several games a year at the Civic Centre before that. I saw Daigle play. You could see the talent. You could also see how not serious he took things. The scouts were bang on ranking him #1 based on the talent you could clearly see. But where things go wrong is reason 2 – the Sens ruined him. And I am not going to come down harshly on them. 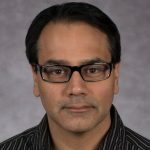 This was a team that had just spent 3-4 years fighting for their very existence (trust me, the stories of the BS they had to go through just to get the rink built in Kanata would blow your mind and make you think in a new way about the current situation) and had hired a lot of new (to the NHL) staff. The culture in general was different back then, but more so with this new organization who didn’t have things in place to give the proper support like we see today. The team essentially cut him a huge check and left him to figure out the rest. The roster was God awful those first years which didn’t help, with a lot of turnover in players. There was 0 stability. They also should have given him some seasoning in the minors (especially in 95-96) to give him some protection from the lousy roster, but also to give him some development time. But again, new team, new city, top ranked pick – they had to play the kid. The fact they billed him like crazy probably didn’t help him either. All this to say, on most other teams, he likely develops into a star player and likewise, most other guys selected instead likely find themselves in a similar situation. The other thing I would say is that I am more than comfortable with Allison selected in the 1st round. Such good hands and it took him too long to get to where he needed to be as an impact player. Likely does that sooner on a lesser team where he gets more time. Loved Salo for the Pens. Well maybe not 100% love it. I also loved him going to the Isles as it gives me another reason to hate Milbury! But likely Salo supplants Barrasso before the end of the decade and we see more stability in goal rather than the revolving door of Aubin- Skudra- Wregget-lalime. Sadly that likely means no Tugnutt (and laukkanen) in 99 and probably not MAF in 2003.